Tax season is coming to a close. It’s a time of year when we step back and take a look at how we made use of the monetary resources God has given us. With money on the front of many people’s minds, now is a good time to take a moment and evaluate how we teach our children about managing their money biblically. After all, it’s only a matter of time before you sit with them at the dining room table to guide them through their first tax return! Advertisers spend $15 billion a year on child-focused advertising. The average American child sees 40,000 commercials a year. Children recognize brands by 18 months and by two years ask for them by name. American kids get an average of 70 new toys a year. Children influence some $650 billion of parental purchases from snacks to SUV’s. Our culture is talking to our children about money and possessions. Parents cannot be silent. Here are five things we can do. 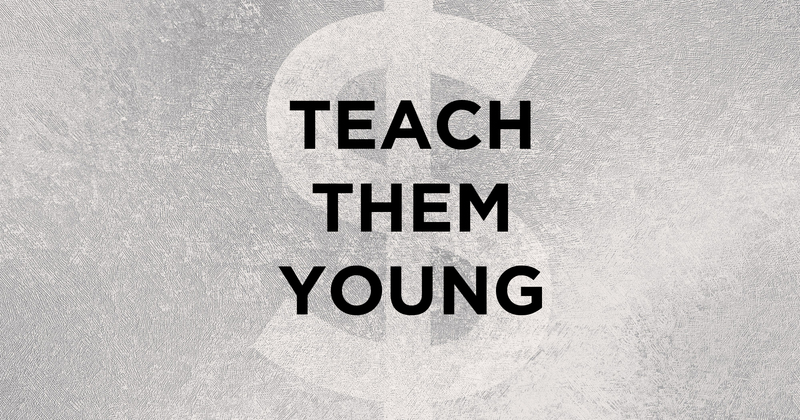 We need to teach our children the biblical principles of money. God owns all things (Psalm 24:1; 50:10-12). All things we receive are a gift from him (Romans 11:35-36; James 1:17). All things we received must be used for him (Luke 12:48b; 1 Corinthians 4:2). Words are important and we must demonstrate that we believe what we say by our actions. Parents must model a lifestyle of biblical stewardship. Show your children that you believe you will stand before God and answer for the way you handled all of his gifts to you. This does not mean living in poverty. It does mean living within your means and giving generously to God’s work. I hear too many people talk about the sacrifices they are making for Christ, the things they could have if they didn’t tithe. This can convey the perception (reality?) that we give grudgingly. If our giving is out of a dreaded duty or legalism, our children will see that. Following Jesus is not a sacrifice; it’s a great privilege! Our kids need to see our willing enthusiasm and excitement. Now…if you are not excited about following Jesus, that’s a spiritual issue you need to address. Model and Mentor a responsible work ethic. Modeling a work ethic for young children has to take place in and around the home. We model a work ethic when we mow the grass, rake the leaves, clean the house, fix meals, and do laundry. Children need to be included in this responsibilities age appropriately. An allowance should be given for assignments done well. This sense of accomplishment produces confidence, self-esteem, and allows them to manage their money with responsibility and generosity. Model and Mentor money management. Teach your children the importance of saving and prudent spending. Teach them the danger of credit cards. Show them the enabling and enslaving aspects of debt. And remind them often that everything they have is from God and should be used to honor him. The world is teaching your children about money. Don’t confirm what the world is teaching. Teach your children the biblical management of money. And remember…back up your words with your actions. Katy Kelly & Linda Kulman, “Kid Power,” www.usnews.com (9.13.04).